The League will tip off on August 20, 2016 with an opening ceremony at 6:00 P.M. at the Save the Seed Energy Centre where trophies will be awarded in the different categories to last year’s players. In addition, the 2015 champions West Gunners will receive their Digicel sponsored Rings. On tip off night, following the opening ceremony, the first game will start at 7:30 P.M. with the Junior 2015 Championships Swaggas seeing if they can pick up a first win over the Junior Avengers. Then at 9:00 P.M. West Gunners will do battle with Splash Brothers in the Senior Division. 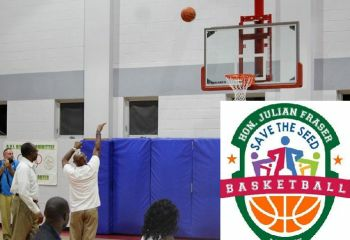 Commissioner of the Hon Julian Fraser Save the Seed Basketball League, Derrick R. Varlack, who is responsible for the League schedule, said each team in the Junior Division will play five games and the Senior Division will see each team playing eight games per team during the regular season. In the Eastern Division, each team will play two games outside of their Division and in the Western Division, each team will play two games outside their Division except Teams Warrias and Momentum, which will play three games outside their Western Division. In addition, West Gunners and Bayside Blazers will clash two times within their Western Division and Avengers and Red Zone will also meet each other two times in the Western Division. Meanwhile, Cameron G. Young has been picked up by Winning Mentality as their draft pick, while Community One and For Da Yard exercised their right not to select a draft player. This means that Steve E. Parillon and David ‘Bolo’ Lettsome were not selected to any teams in this year's league. The entrance fees to the games, according to League Commissioner Varlack, are $5.00 for adults and $3.00 for children. Meanwhile, all teams, both junior and senior, are reminded that they must be at the opening ceremony for the roll call of teams with at least five players in uniform tops. Failure to comply will result in a fine as per the League’s By-Laws. West gunners going with it again!! !